Keloid scars occur when too much scar tissue develops around a healing wound, resulting in a scar that is a raised above the normal surface of the skin. While not always a problem, they can sometimes be sore, tender or itchy, and can affect your self confidence. Get in touch today to find out how the team at The Dermatology Clinic London can help. 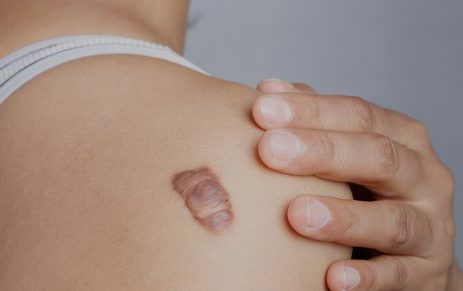 It’s not always possible to predict how well skin will heal following a wound, but if you do develop a keloid scar and it causes bother, we can try to improve its appearance and reduce symptoms of soreness and itching. 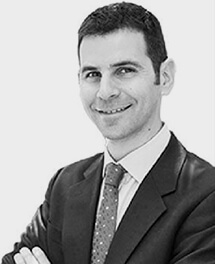 Find more information below on keloid scars, and the treatments available at The Dermatology Clinic London. Keloid scars are highly visible scars that usually develop around a healing wound. They can develop after surgery, after a major skin trauma, around a new piercing or even after minor skin damage like an acne breakout. They are hard, shiny, rubbery-feeling scars and usually appear on the shoulders, upper chest and on the earlobes. People with darker skin tones are particularly susceptible to keloid scars. This is because our genetic makeup can impact the way our wounds heal, affecting our likelihood of developing a keloid. Why should I visit a dermatologist? There are various corticosteroid treatments available over the counter, however these do not work on thick scars. The Dermatology Clinic team are highly experienced in reducing the size and appearance of even large keloid scars using corticosteroid injections. If this is your first keloid scar, our dermatologists may use corticosteroid injections to treat it. These injections essentially halt the production of collagen, minimising scar tissue. This causes the keloid to soften and appear flatter. The most common medication for this procedure is triamcinolone and it is injected into the fleshiest part of the scar. Your consultant will make sure the medication spreads evenly throughout the area. Although this treatment will need to be repeated a number of times to achieve optimum results, it is highly effective and the scar may look and feel flatter after just one injection. If you only have one keloid and have no family history of this type of scar, surgery could be a good option for you. It is particularly effective for treating earlobe keloids. Surgery isn’t usually recommended for those with a family history of keloid scars as it does nothing to prevent scars from forming in the future, so additional treatment may still be required further down the line. If you have a keloid scar that is causing you discomfort or affecting your confidence, The Dermatology Clinic team are here help you. Contact us today to arrange a consultation.